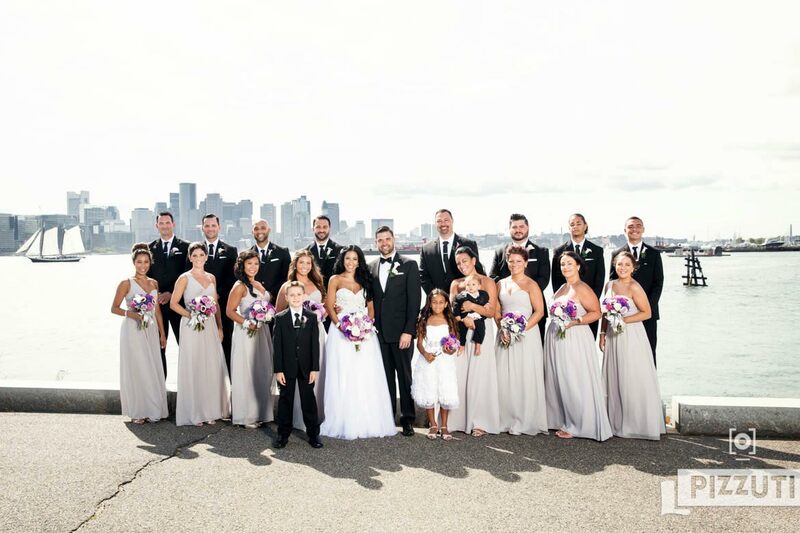 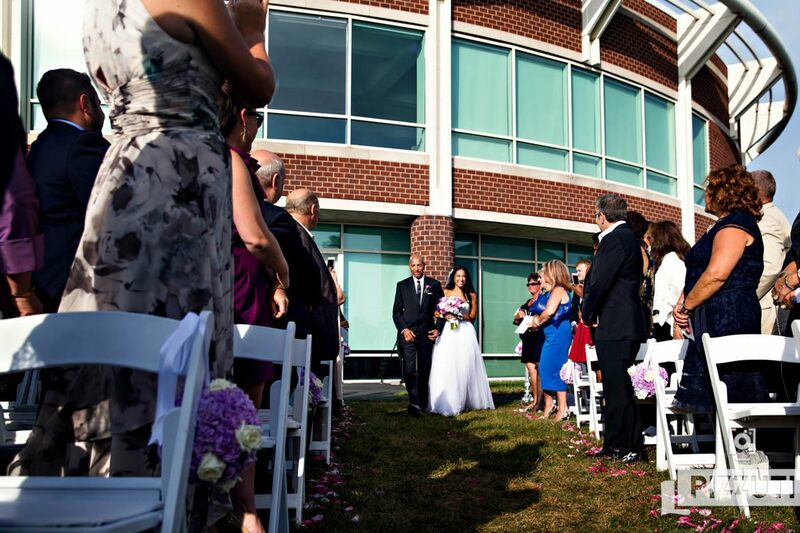 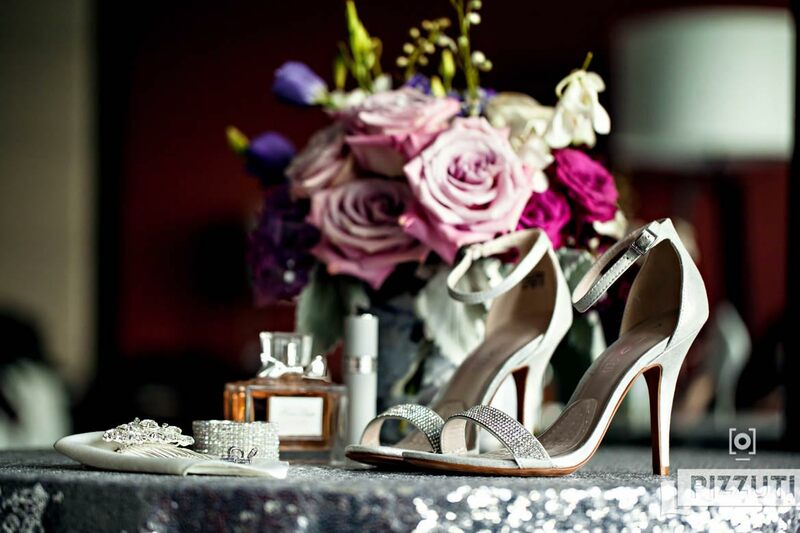 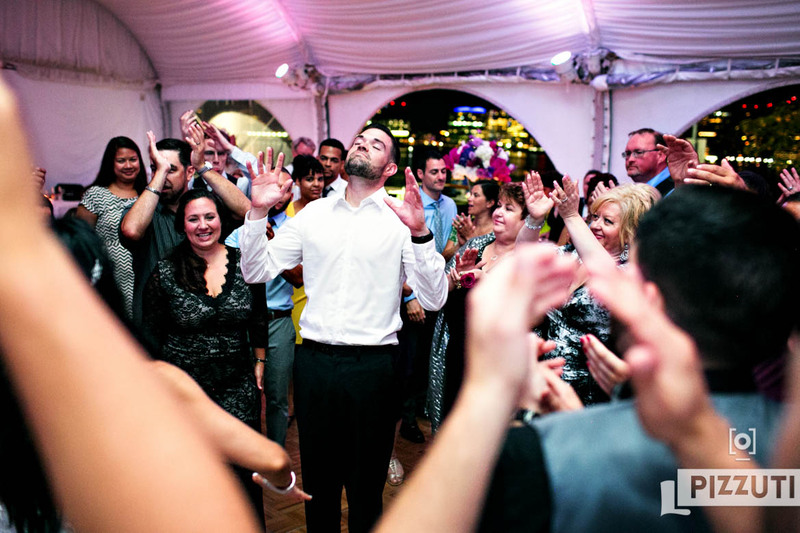 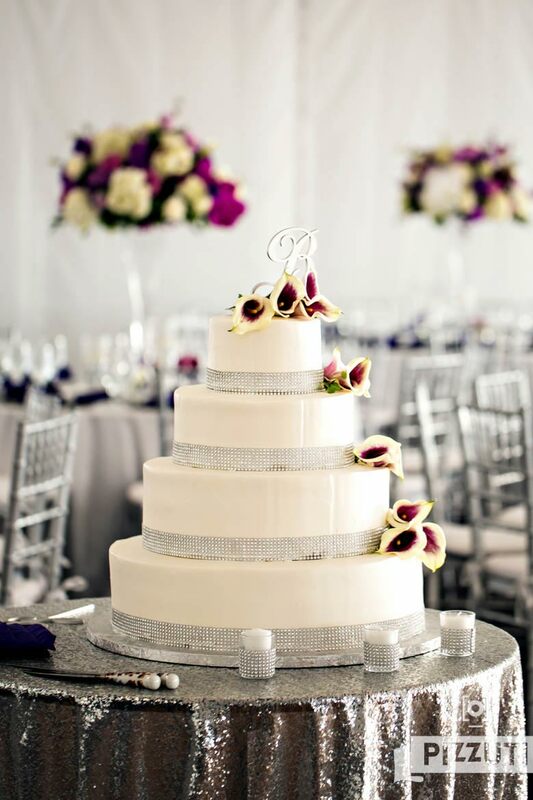 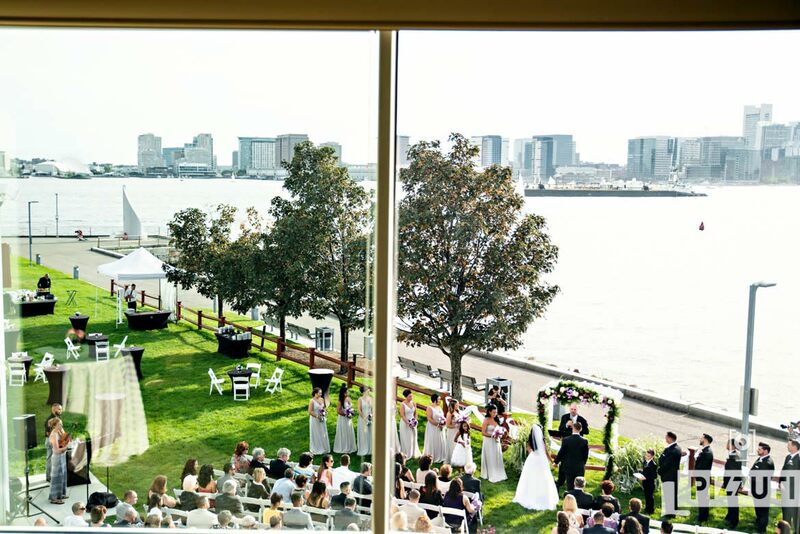 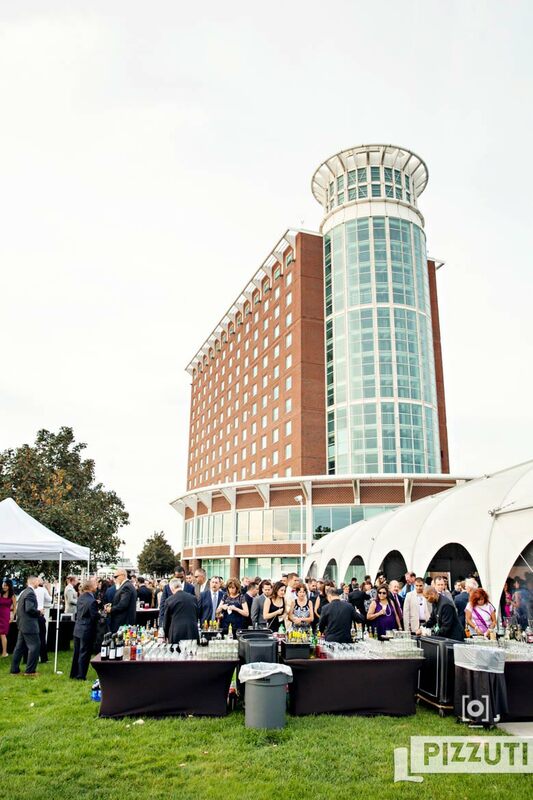 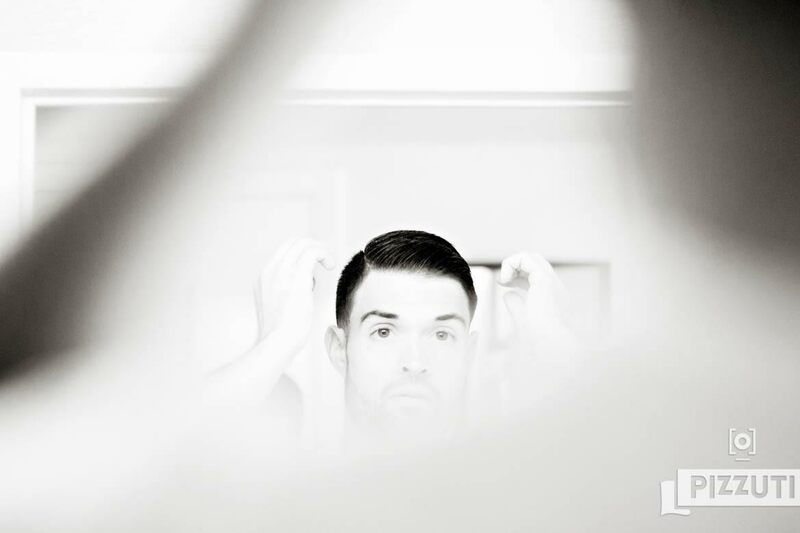 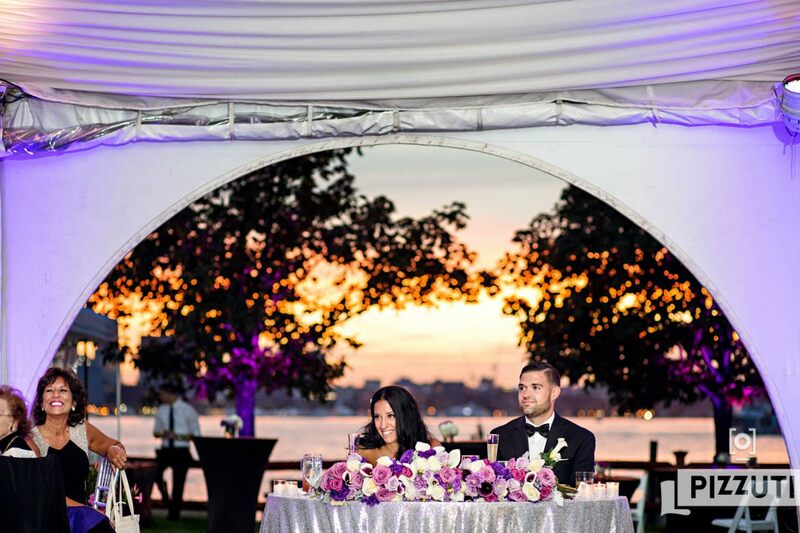 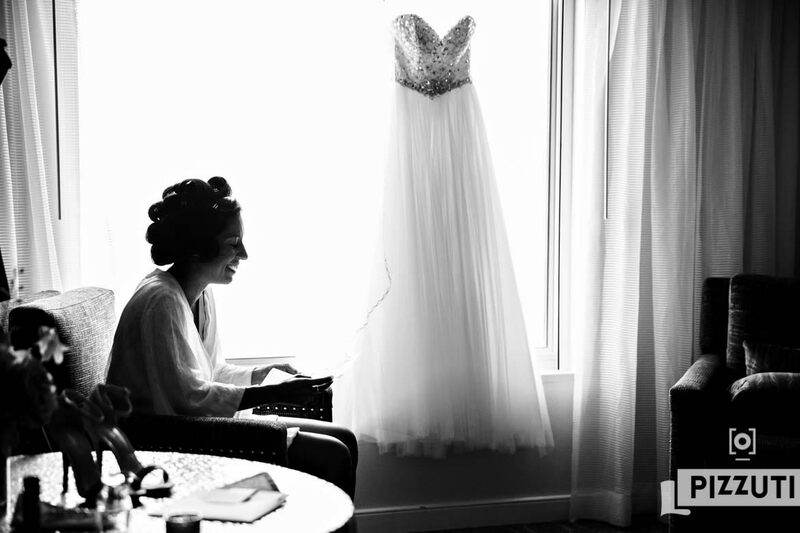 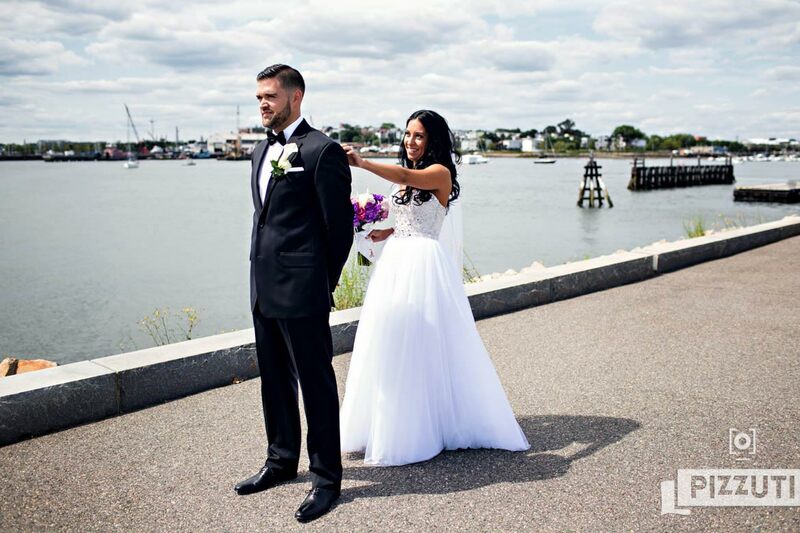 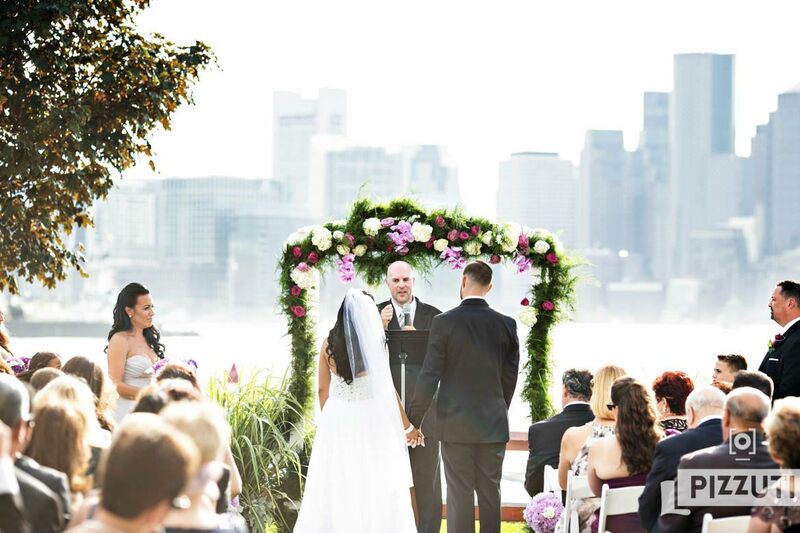 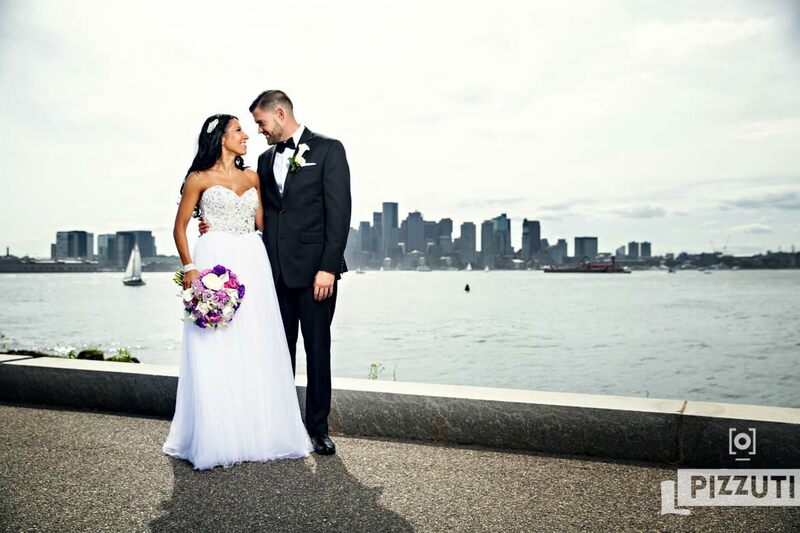 Paul and Kelsey planned a beautiful Hyatt Boston Harbor wedding this early August. 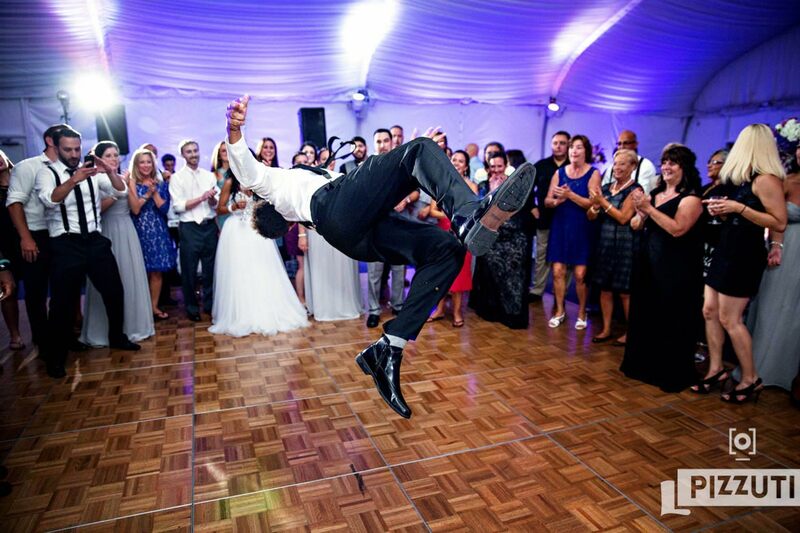 Not sure we could have had a better time at a wedding! 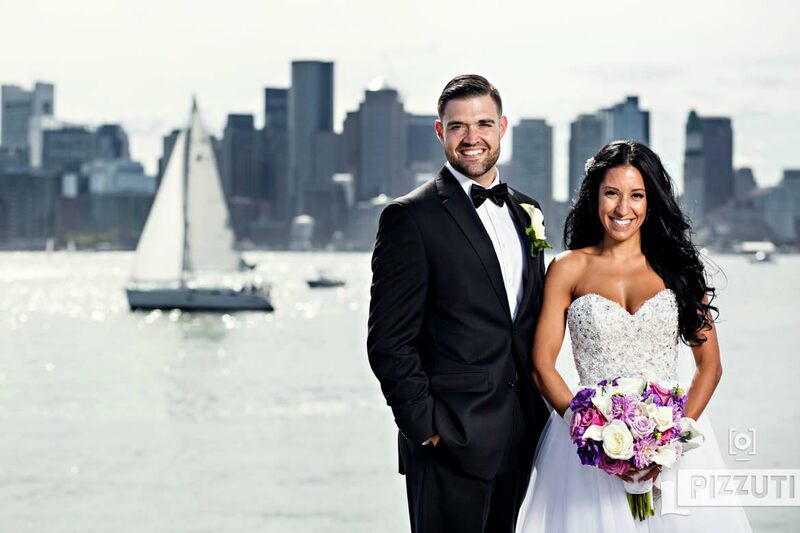 Also, how awesome is this sailboat positioning during portraits? 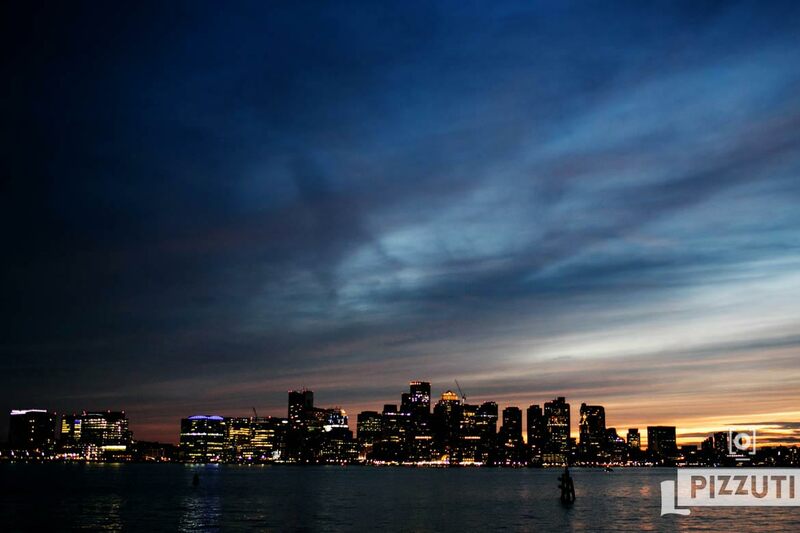 If you’re out there and you see this, I owe you one, sailor! 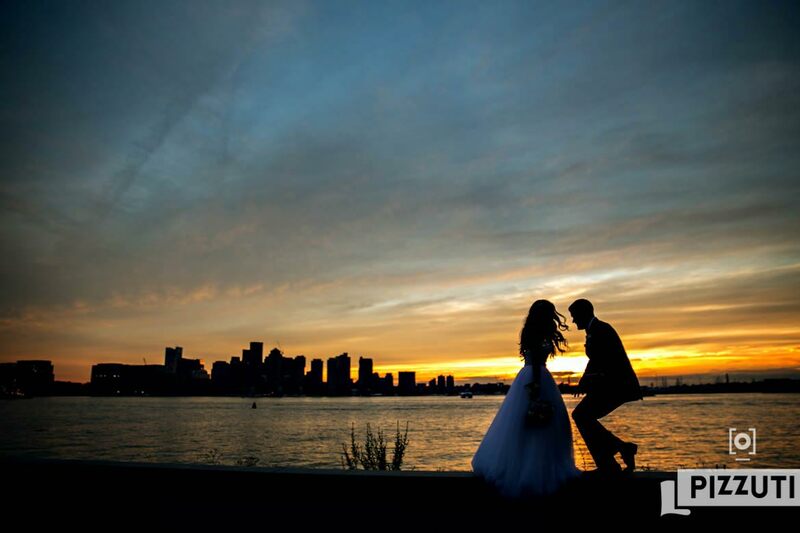 Mr. and Mrs. DJ Brogs of MassRhythm Enternainment have been planning this wedding for over a year and we’ve had it circled on our calendar for that long too. 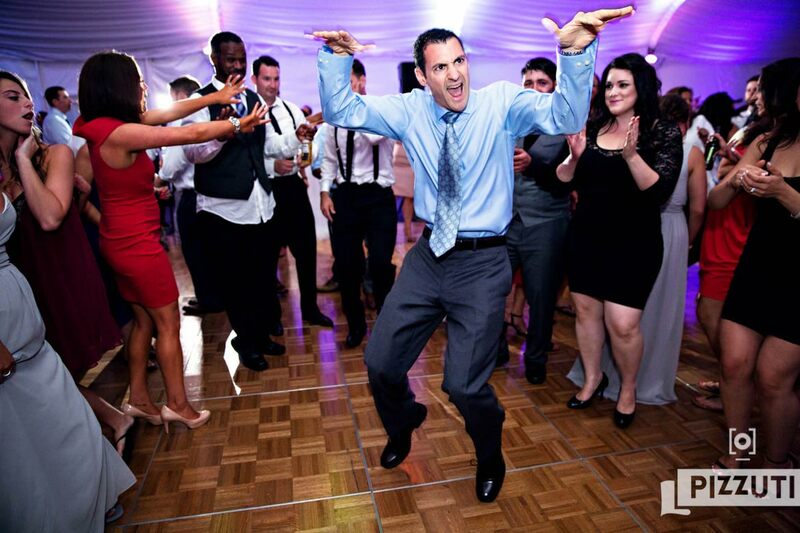 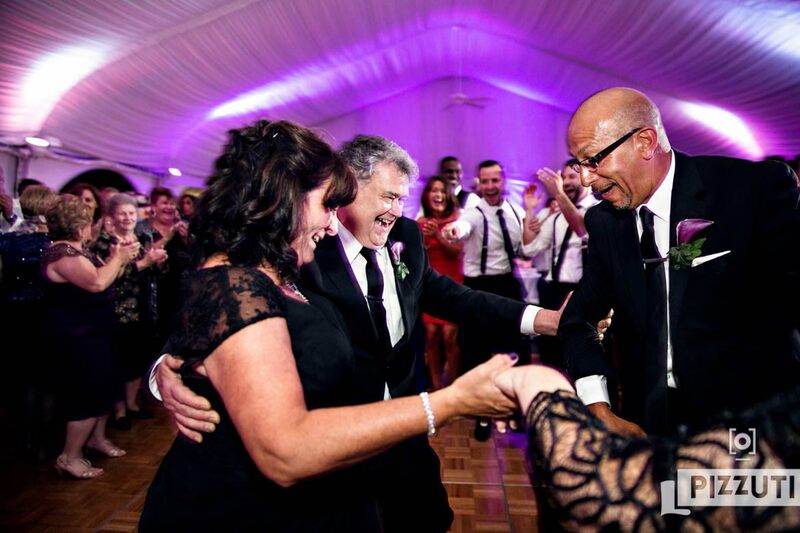 We first got to know Paul as DJ Brogs from a wedding a few years back and we hit it off immediately. 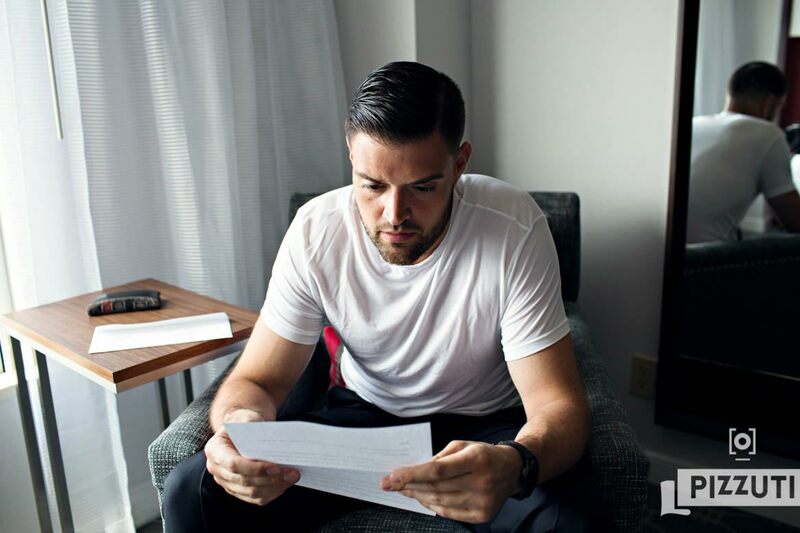 First off, he’s a fantastic DJ, secondly, he’s a great guy and a hard working entrepreneur who built his company from the ground up. 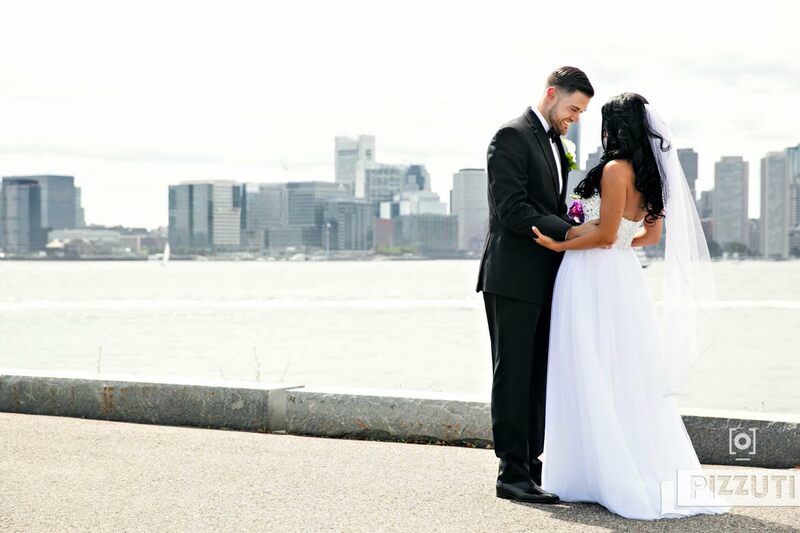 We definitely knew we wanted to keep DJ Brogs in our network, but we were over the moon when he and his fiance Kelsey invited us to be their wedding photographers. 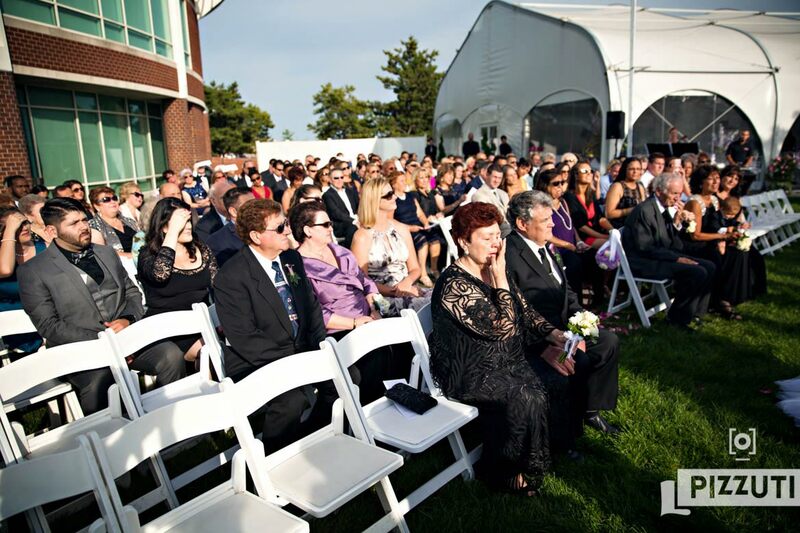 When industry folks want to bring us on board it means a lot to us. 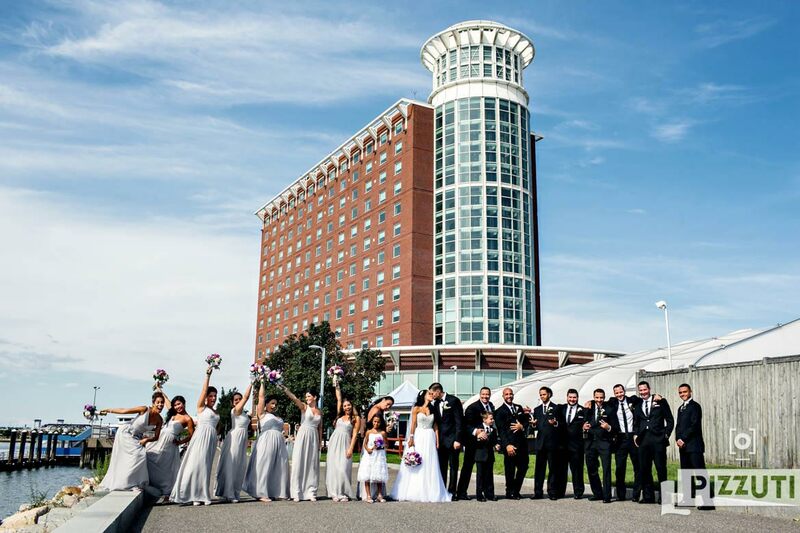 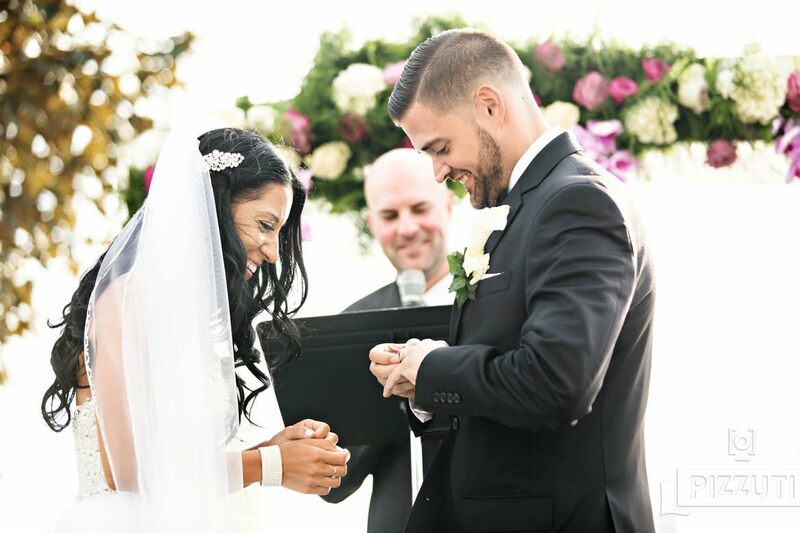 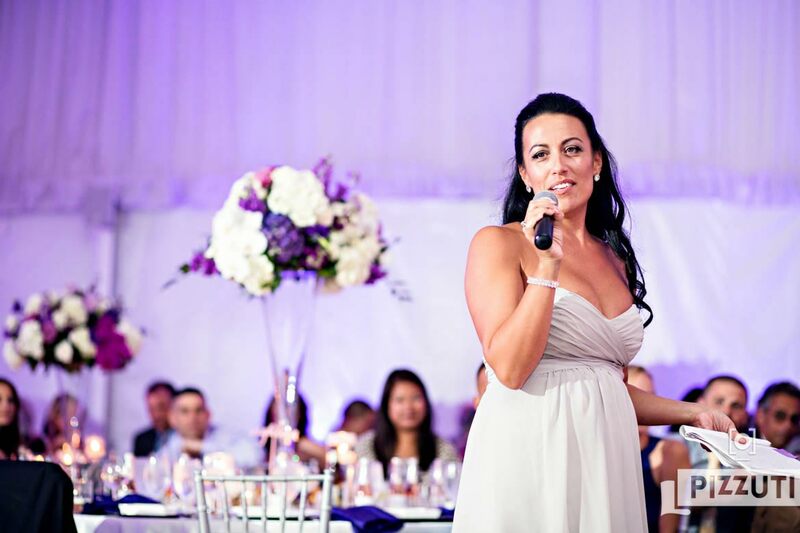 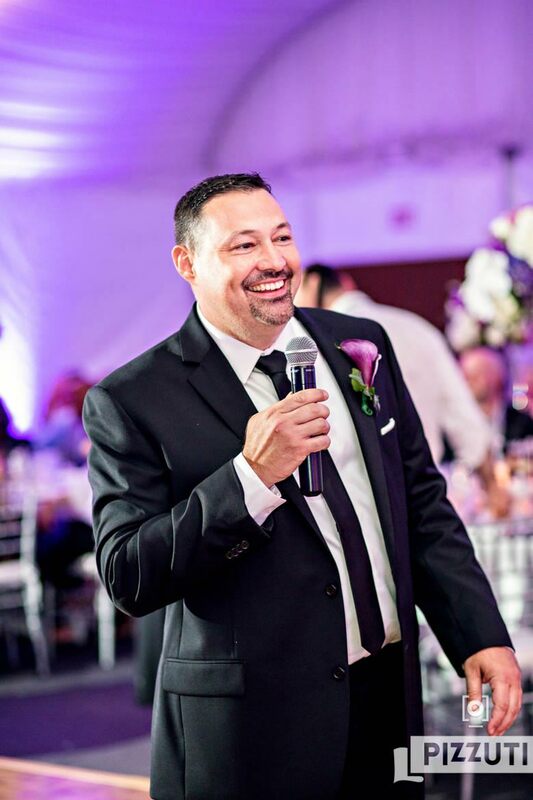 Kelsey and Paul wanted their wedding to be a fun and easy experience for their guests so they planned everything at the Hyatt Boston Harbor. 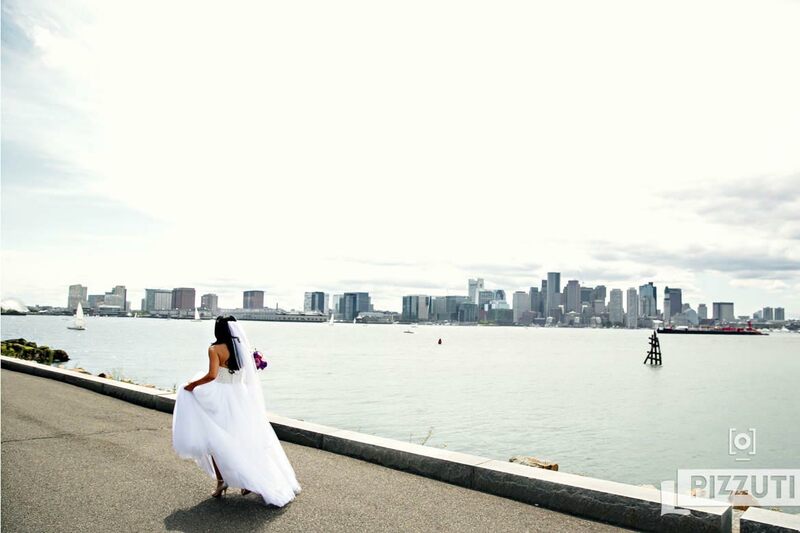 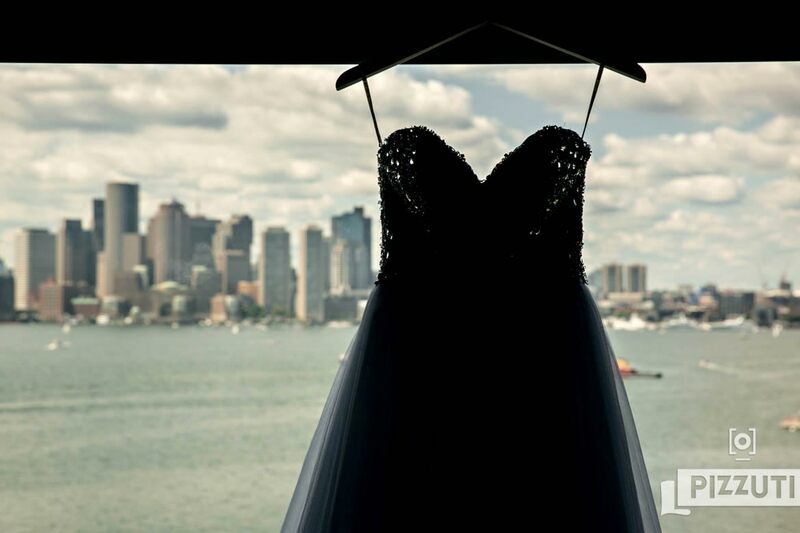 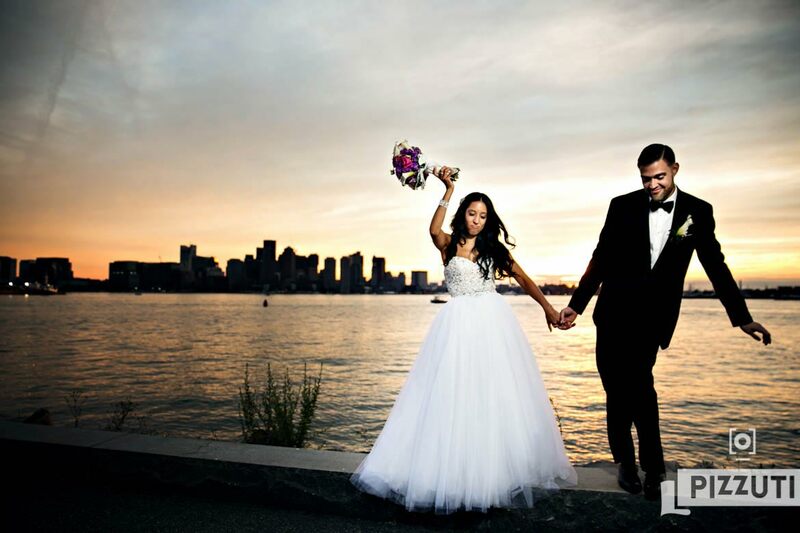 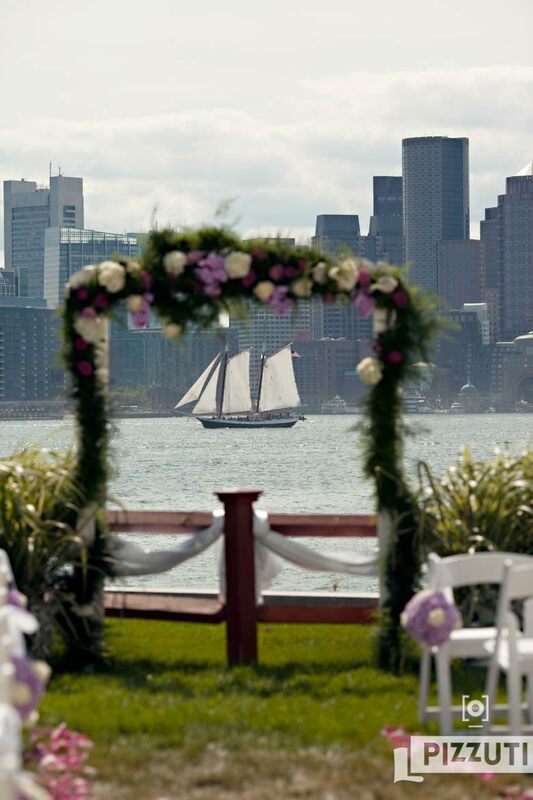 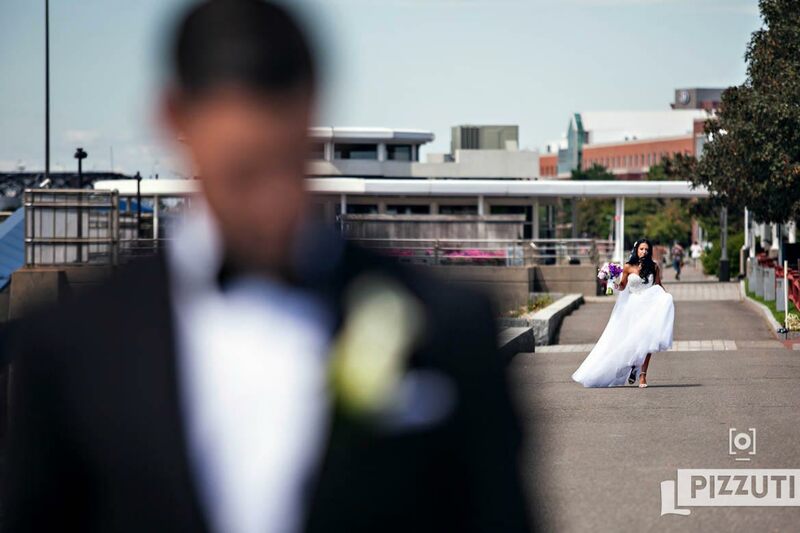 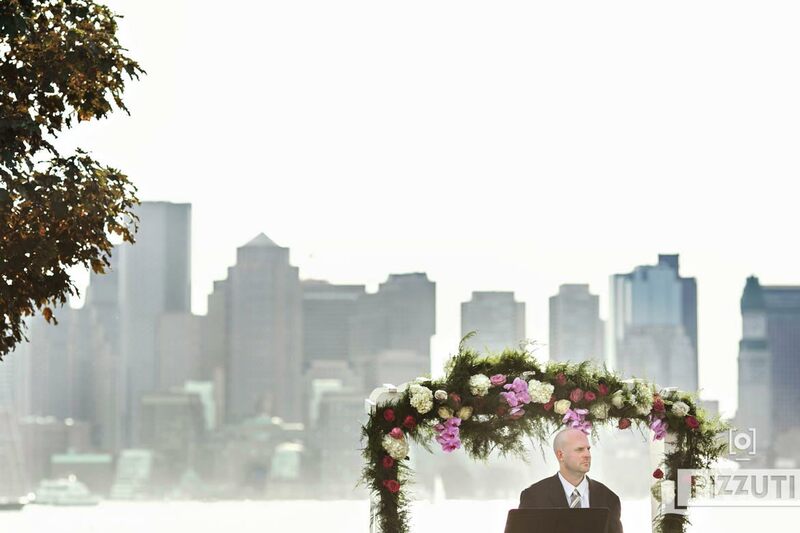 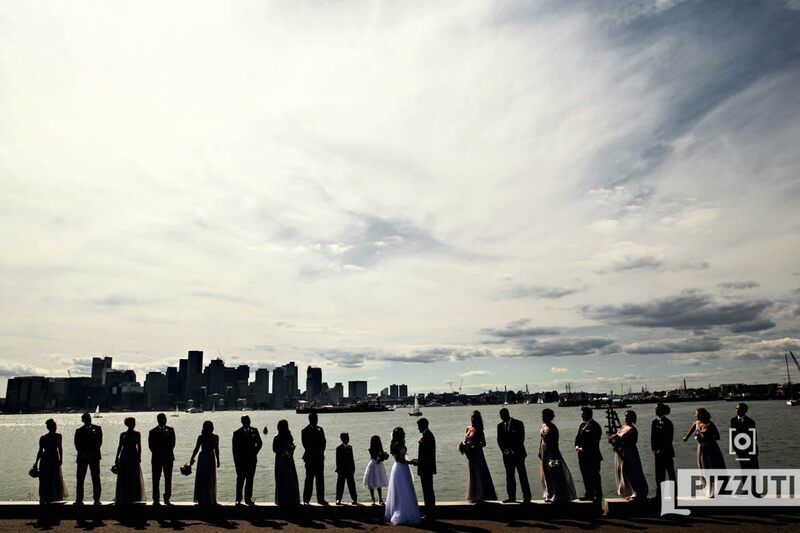 This venue has one of the best views of Boston and we love the opportunity to photograph here. 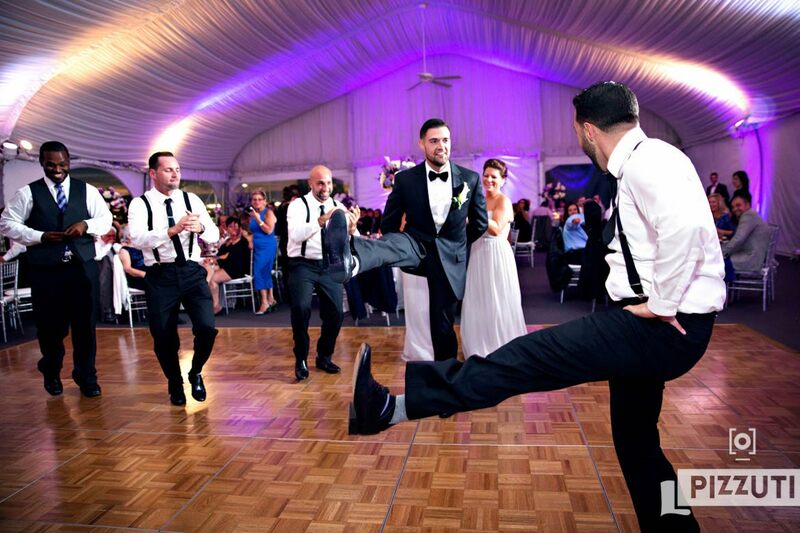 Also we knew going into it that after the portraits and ceremony it was “game on” for the reception. 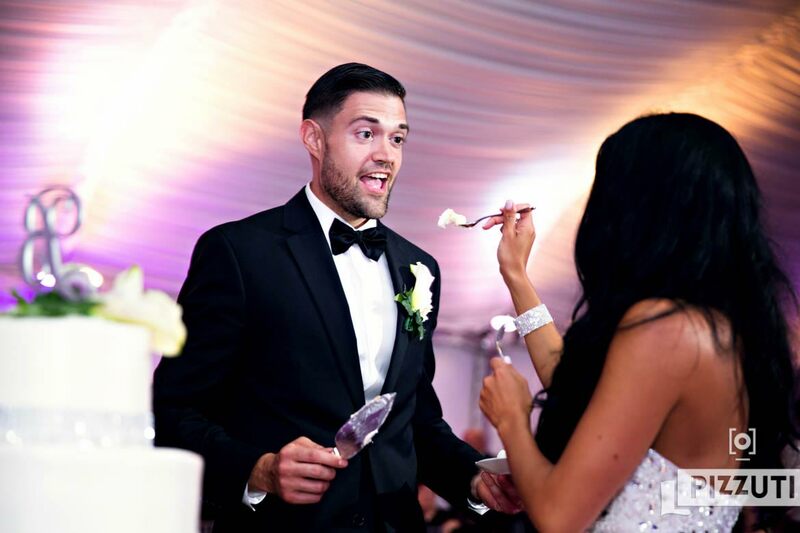 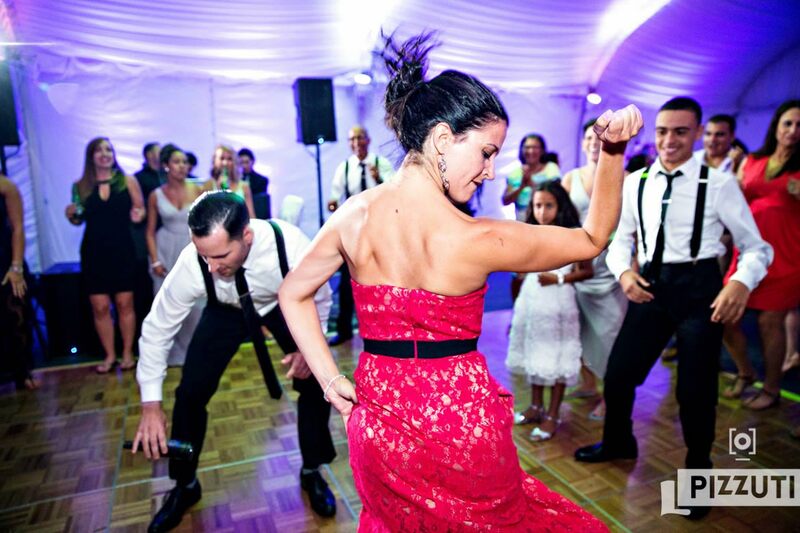 There was some epic music, a break dancer, a couple of back flips, some Italian dancing and a dessert bar that would rival anything you’ve ever seen at a wedding. 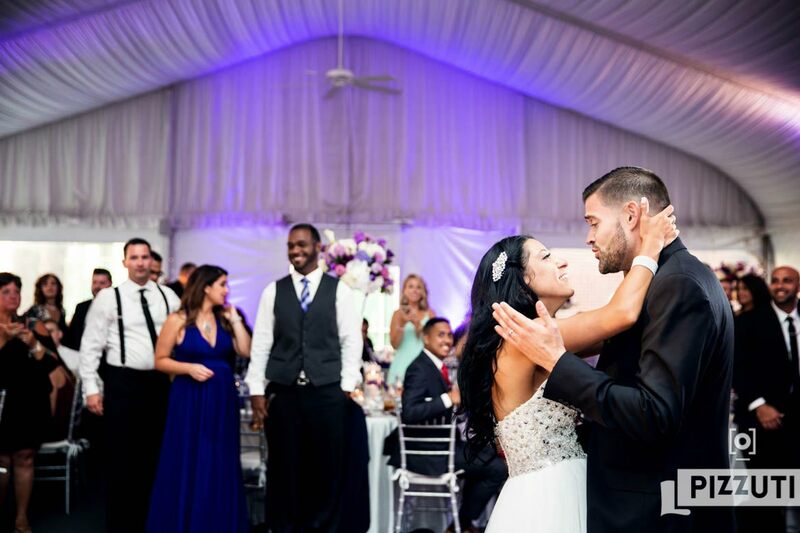 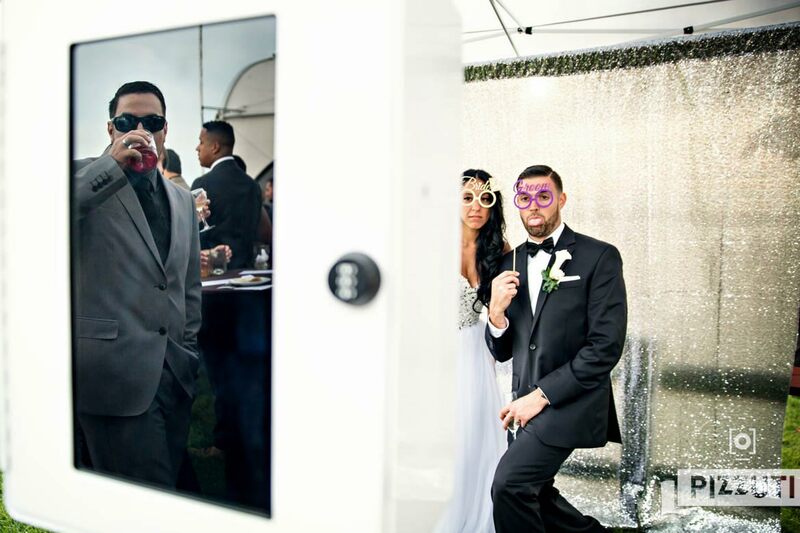 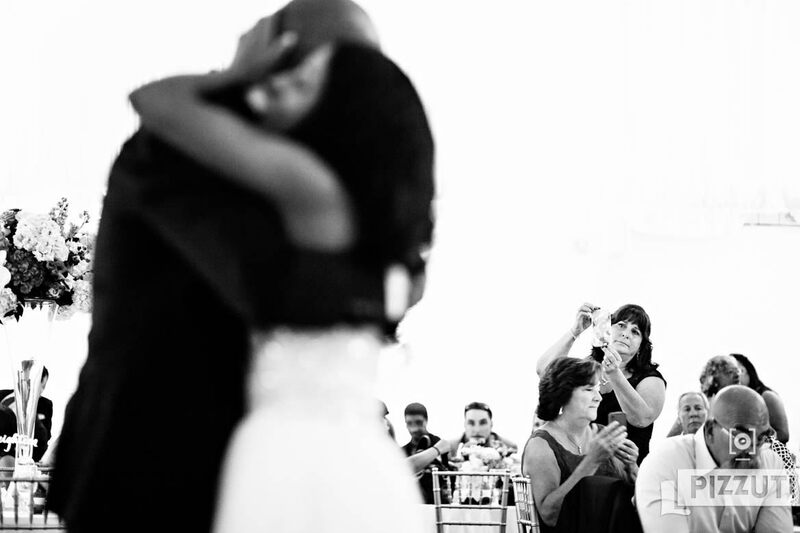 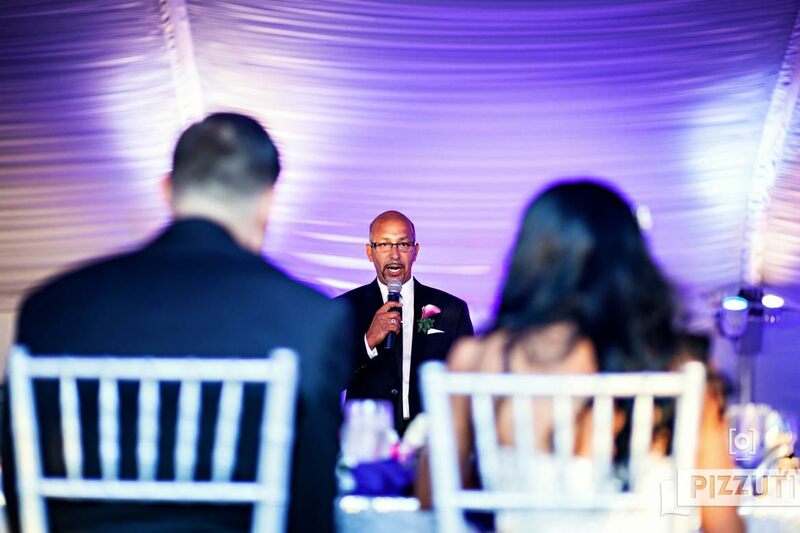 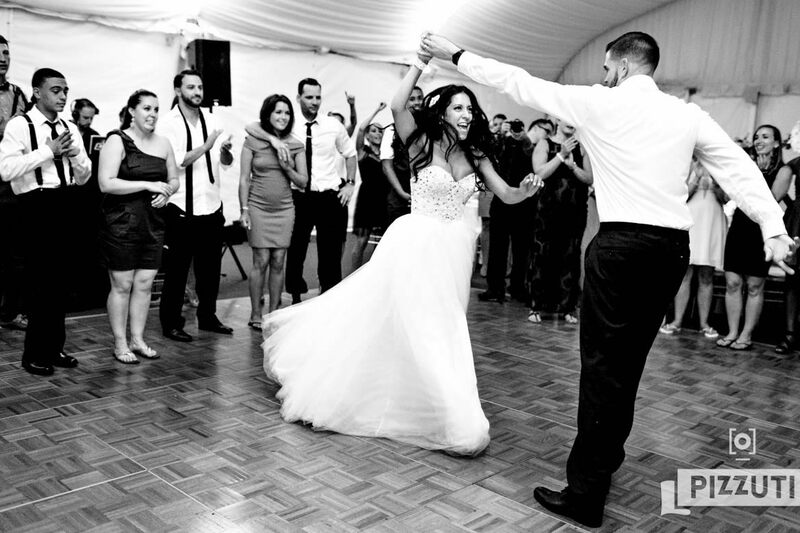 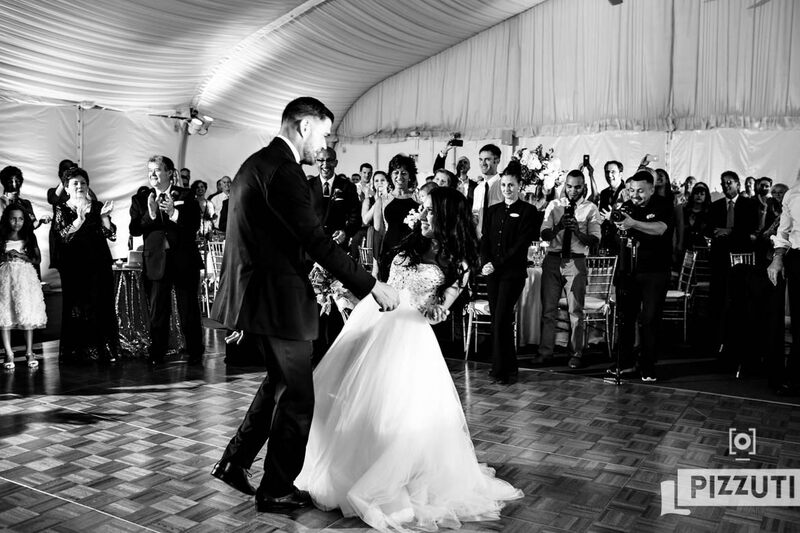 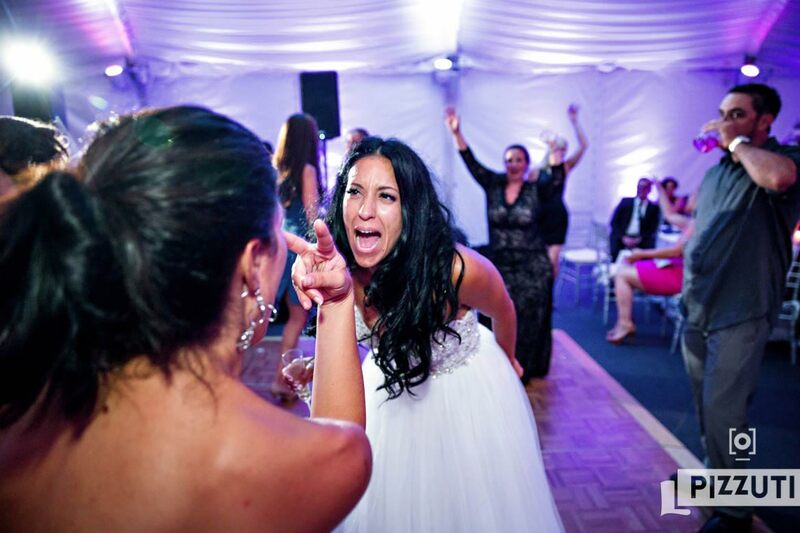 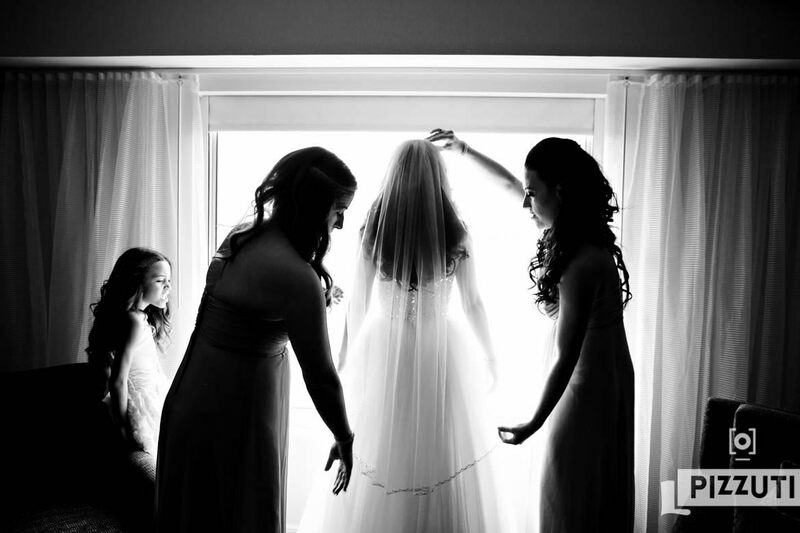 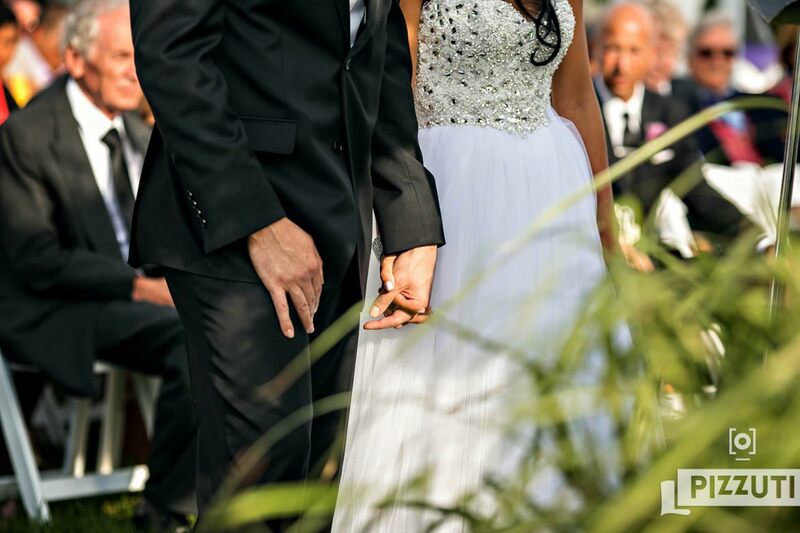 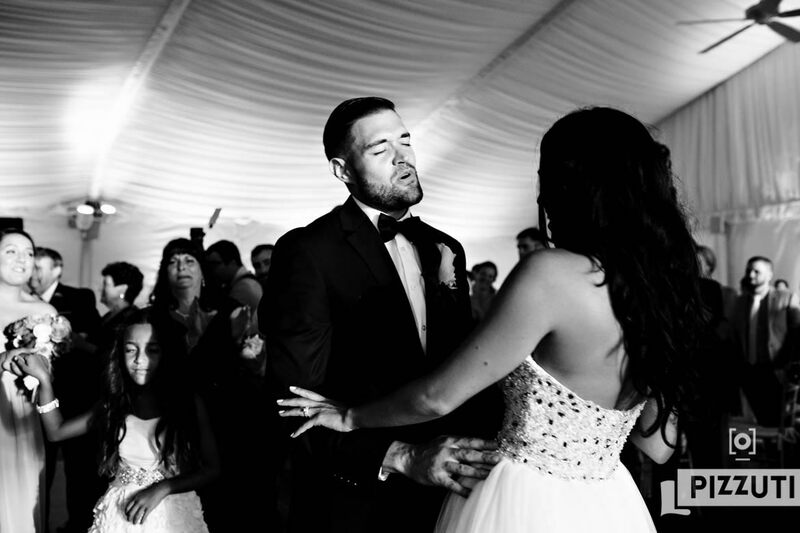 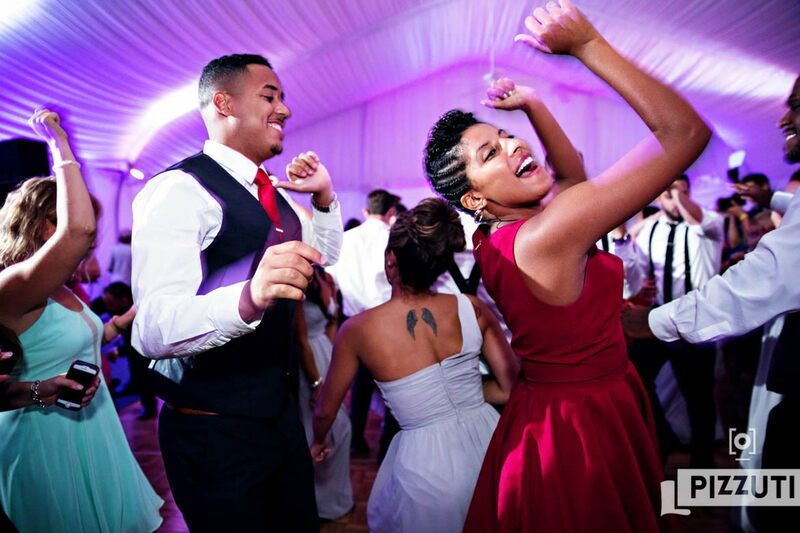 This wedding was beyond memorable and we feel honored to have been able to make these photos. 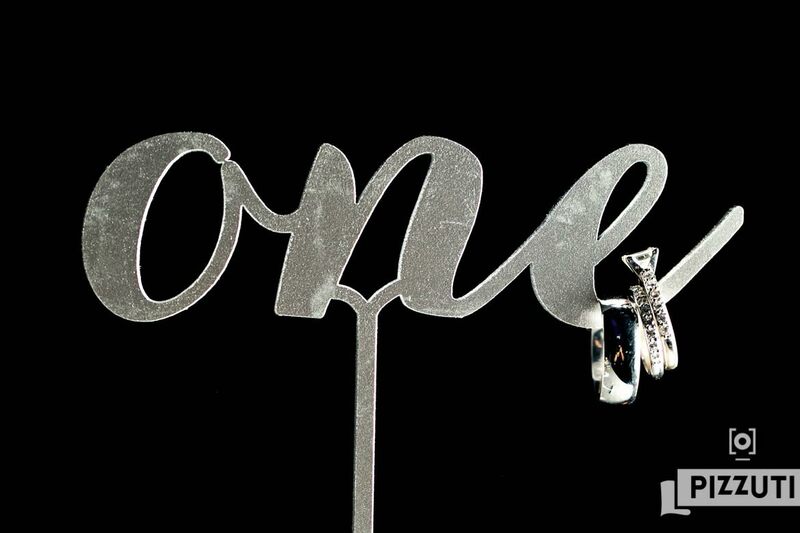 Here’s a small selection of our favorites.